PeteP wrote: This makes me think of a scene from suisei no gargantia, who can guess which one? NdGT huh? I was thinking something Lionel Richie. I'm probably a horrible person. All these years of Steam sales have perhaps refined me to thinking £15 for a Indie puzzler is too much to pay full-price for. Re: Count up in binary! (To 1000000 before the other thread! Should I give tips to servers at Costa Coffee/Caffe Nero if I'm only there for a sandwich and a soft drink, specifically 'eating-in' and the sandwich heated at point-of-sale after purchase? Cos they're technically the same barristers. Bashing sourmilk? What is this, the [REDACTED] thread in [REDACTED SUBFORUM]? My bilateral juvenile cata(ph)racts are humoured by your ocular degeneration. 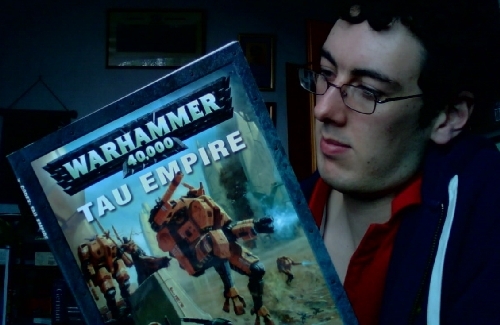 Topic: Thursday is Tau Day! Let's Party! Re: Thursday is Tau Day! Let's Party! A rocket launcher with multiple loading per fire? "Now that's what I wanna see!" Rooney gave an underwhelming performance. I'm pretty sure the only way he stayed on the full 120 was "he's one of the main penalty-takers for his domestic team, scores them fairly reliably, so we'll kinda need him later". Well, it's certainly never been the plot of an xkcd strip. One of the bottom six according to Wolfram is an approximation. The sqrt 5 one. Decimal approximations given by Wolfram for the two terms don't match it seems.